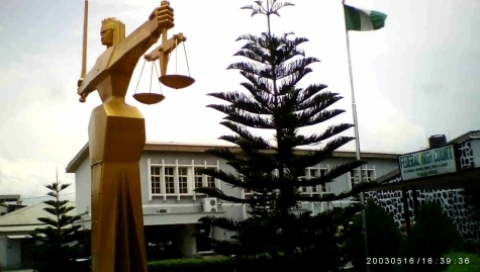 A 42-year-old self-professed Islamic cleric, known locally as Alfa, has been arrested and charged before Isolo Magistrates’ court for engaging a 34 year-old woman in s*x deliverance that lasted for three days in Lagos State, western Nigeria. The Oyo State-born cleric, Jamiu Mukaila, reportedly defrauded Bose Alele to the tune of N350,000 after which he engaged her in a three-day marathon s*x under the false pretence of casting evil spirit out of her. The incident happened at Ire-Akari Road in Isolo, a suburb of Lagos, where the victim resides and where the prayer took place. According to Bose, who is still in shock, Mukaila approached her and introduced himself as Alfa and told her that he had a revelation from God concerning making her life better. He told her that she was possessed by evil spirit called mammy water (mermaid) and that she needed deliverance to cast out the evil spirit so that favour will come her way. She said part of the condition he gave her was that she would pay N350,000 which would be used to buy spiritual materials and that she must sleep with him for three days. She said he assured her that she would enjoy favours after he had worked on her and that she would equally get a husband of her choice after the deliverance. Bose revealed that she did not know what came over her immediately after the encounter as she paid the N350,000 he requested and allowed him have s*x with her for three days before she came to her senses. She said immediately she realised that she had fallen for the cleric’s deception, she went to Aswani Police Division and reported what happened. Mukaila was arrested and taken to the station where he allegedly confessed to committing the crimes. He allegedly told the police that he was born into an Alfa family in Oyo State and inherited the gift of prophecy and deliverance. He said he was married and has four children and resides at Adeyemi area of Isolo where he met Bose. When the police prosecutor, Inspector Abas Abayomi charged Mukaila to court with stealing and obtaining s*x under false pretence under the Criminal Code, he pleaded not guilty. The presiding Magistrate, Mrs Joy Ugbomoiko granted him bail in the sum of N100,000 with two sureties in like sum. Mukaila was remanded in prison custody pending when he will perfect his bail. The matter was adjourned till 5 August, 2015 for trial.